A long time ago in a theme park far far away (relatively speaking: it fits best with the Star Wars-esque intro) our children took part in an activity to pan for gold. Little ‘gold’ nuggets were mixed in with sand and gravel and (for a fee) children could dig up some sand and put it in a pan with some water and then swirl it around to find the ‘gold’ which was then exchanged for a cheap and tacky souvenir. That image came back to me recently and felt like a useful metaphor for life. Sometimes what life seems to throw at us looks like dirt. It may feel like dirt. It may be difficult events. It may be things that are said. It could be things that we have done. In those circumstances I have found that it is helpful to pan for gold in the dirt of life. What I mean is that it is quite possible that God has some gold nuggets hidden in the dirt. He may have words of encouragement, reminders of his faithfulness, words of guidance or correction, even just a reminder that he is with us – gold nuggets hidden in the dirt. One of the tasks we have is prayerfully to pan for the gold. Ask God what he may be saying or reminding us of in what may appear to be mud. When we have found the gold we need to ask for his grace and wisdom to receive it and act on it. We also need his grace and wisdom to set aside what is not gold – what is not of him – and not allow it to lead to lead to hurt or bitterness. Sometimes there’s only a tiny nugget (but it’s still a nugget!). Sometimes there may not be anything. Sometimes it is as if we have hit a rich seam of gold. 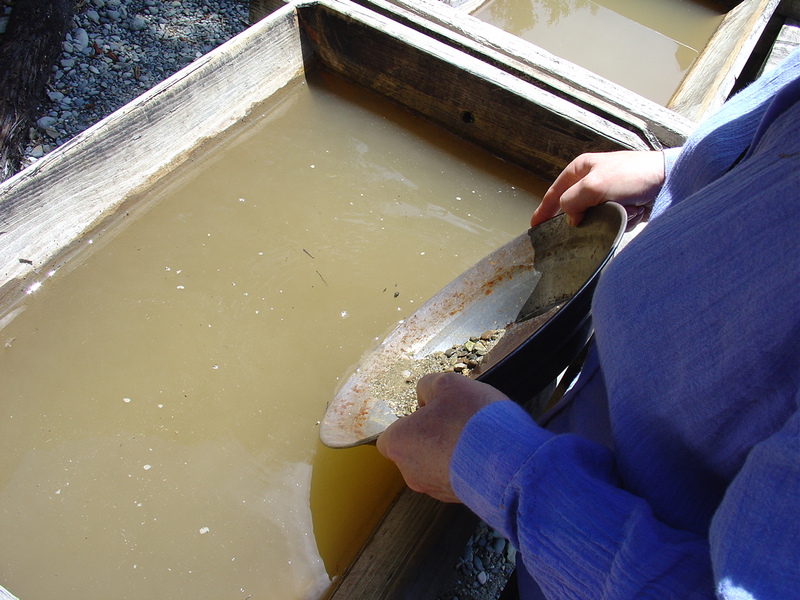 What might ‘panning for gold’ look like? Be honest, be open, be humble, be ready to look for the glint of gold even in the grottiest of dirt. Perhaps ask a close friend if they can see any gold nuggets if you can’t. When you find something that feels like gold make sure you weigh it and evaluate it so you know it is from God – check it against God’s nature and character, check it against the Bible. Whatever is not gold, ask God to give you the grace to set it aside. Whatever is gold, ask God to give you the grace to act on it.